Saskatchewan is currently using two area codes. 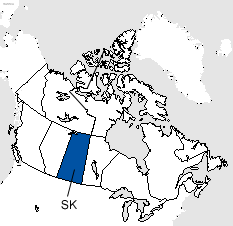 Saskatchewan utilizes one area code overlay which consists of area code 639 as an overlay of area code 306. Area codes 306 and 639 cover all of the province of Saskatchewan. Area code 306 was put into service. Area code 639 was put into service as an overlay of area code 306. Ten digit dialing (area code + seven digit number) is necessary in the 306/639 overlay because two different homes in the same geographic area can have the same seven digit phone number but each would have a different area code. Area codes 306 and 639 cover the entire province of Saskatchewan including the larger cities and communities of Estevan, Humboldt, Moose Jaw, North Battleford, Prince Albert, Regina, Saskatoon, Swift Current, Weyburn and Yorkton in addition to many smaller communities throughout Saskatchewan.